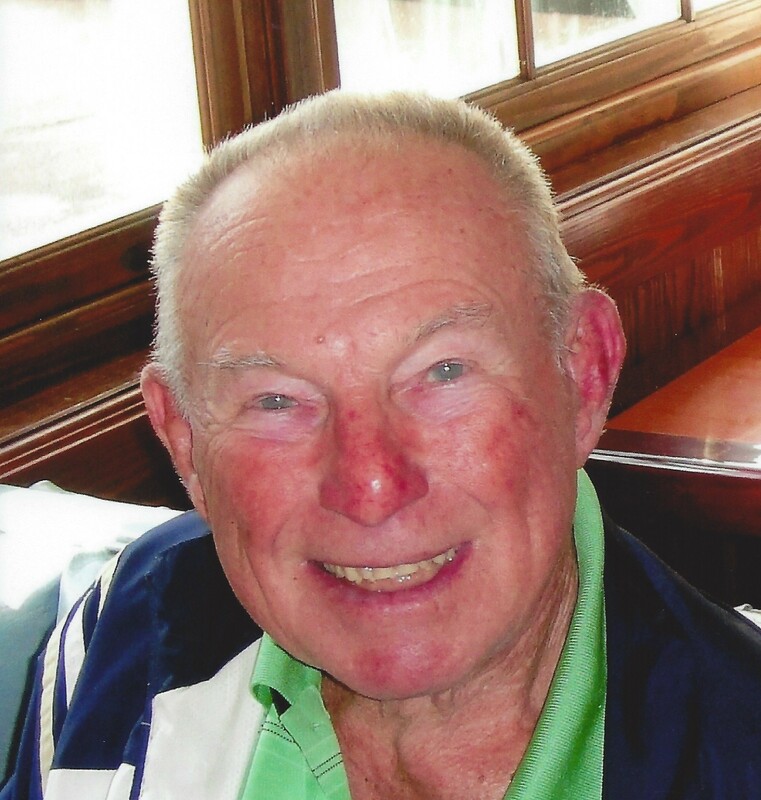 James P. “Spot” O’Donnell, 96 of Harvey’s Lake, passed away peacefully Thanksgiving evening, November 22, 2018, with his family by his side. Born in Pittsburgh, PA, on October 12, 1922, he was the son of the late Patrick and Mary (Boyle) O’Donnell of Dungloe, Donegal, Ireland. He was a graduate of James M. Coughlin High School, Wilkes-Barre, Class of 1940. Spot was proud of his service in the U.S. Navy during World War II, serving in the Pacific Theater from 1942 – 1945. He was employed at The Color Company, The Wilkes-Barre Publishing Co., and the Pittston Dispatch as a pressman. His son, James, Jr., worked with him as a pressman for many years. 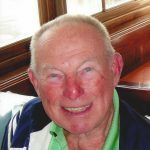 He was a member of Our Lady of Victory Church, Harvey’s Lake, was a founding member and Past-President of the Donegal Society of Wilkes-Barre, a former member of the Knights of Columbus, where he was a 4th Degree Knight, The Friendly Son’s of St. Patrick, and the Harvey’s Lake American Legion, Post 967. He was preceded in death by his wife of 54 years, the former Mary A. McGraw on May 3, 2000, Daughter Patricia Jones on June 14, 1991, grandsons Kevin Lynch and Robert Sestak, Jr. and sisters Aileen Marlowe and Rita White. Surviving are his daughters, Gail Matzel and her husband Bob, Harvey’s Lake, Maureen Lynch and her husband Ned, Dallas, Aileen McHale and her partner Carl Goeringer, Shavertown, Charlotte Sestak, and her husband Bob, Bath, NY, son James P. O’Donnell, Jr., Harvey’s Lake, 9 grandchildren, 21 great-grandchildren, nieces and nephews. A Mass of Christian Burial will be held Monday, November 26, 2018 at 11:00 am at Our Lady of Victory Church, Harvey’s Lake, with Father Daniel Toomey, Pastor, officiating, and Monsignor Hugh O’Donnell. Those attending the funeral mass are asked to go directly to church Monday morning. Interment with military honors accorded by the U.S. Navy will be held in St. Mary’s Cemetery, Hanover Twp. Family and friends may call Sunday from 2:00 to 5:00 pm at the Corcoran Funeral Home, Inc., 20 South Main Street, Plains, PA 18705. Memorial donations may be made to Hospice of the Sacred Heart, 600 Baltimore Drive, Suite 7, Wilkes-Barre, PA 18702.